Almost done! Your download will begin in a moment. If it doesn't, restart the download. 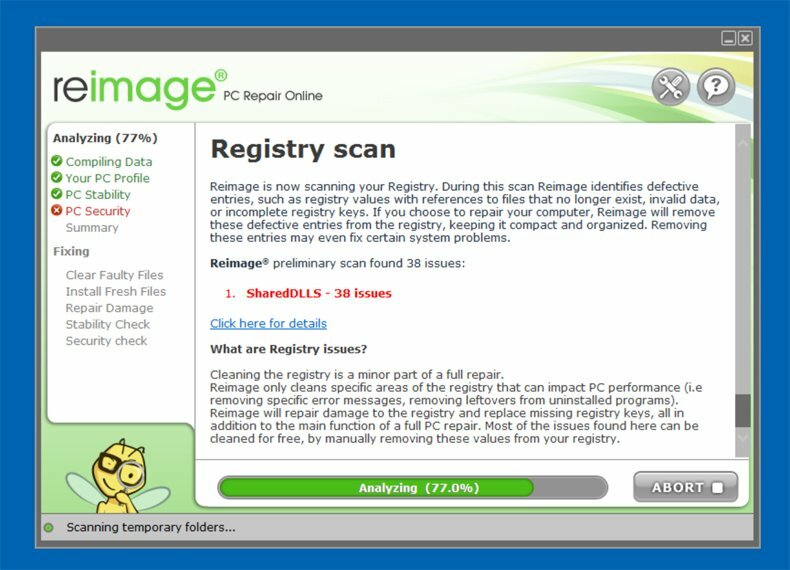 Thank you for downloading Reimage - a patented specialized Windows repair program. 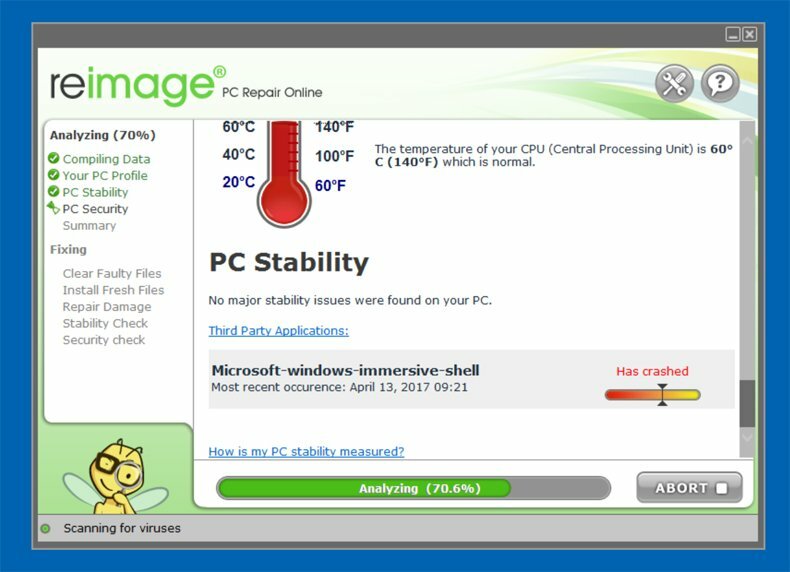 It will diagnose and then repair your damaged PC. Reimage deals with computer viruses, ransomware, dishonest adware, Trojan horses, crime ware, root kits, spyware, worms and other malware. 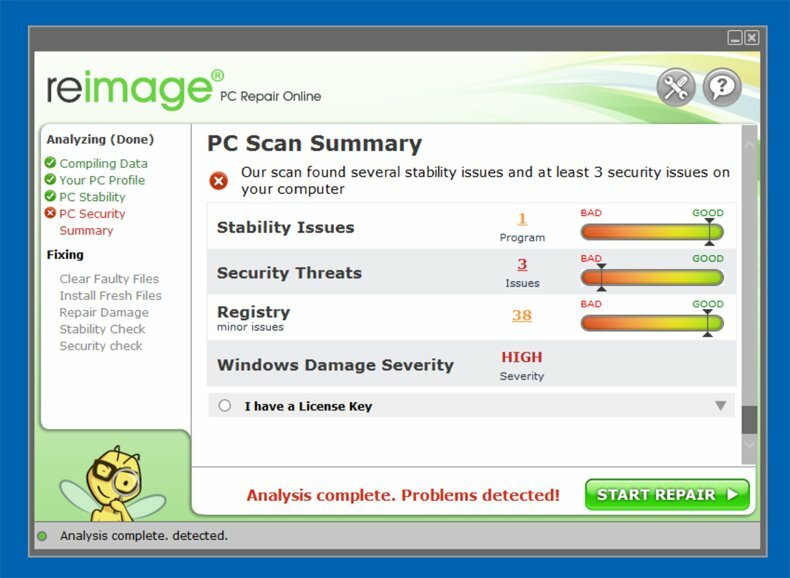 What is more Reimage will repair all System Files, DLLs and Registry Keys that have been damaged by security threats. 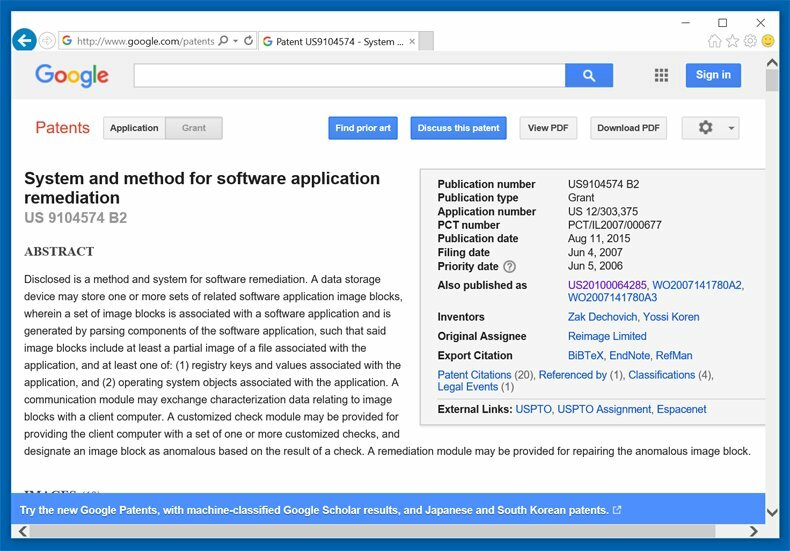 This patented repair process uses a database of 25 million components that can replace any damaged or missing file on user’s computer. This ensures improved PC’s performance, security and stability. If you need assistance removing malware please use our forum. If Reimage didn't help you, alternatively you can try using SpyHunter or Malwarebytes Anti-Malware. Patented Windows Repair Technology - Reimage repair works by replacing system files automatically. It's like a clean Windows reinstallation in one hour, without losing any programs, settings or any user data.